Happy Friday to you all and I for one am glad to see the back of this week. For just £2.99 you get the papers, alphas and symbols too! 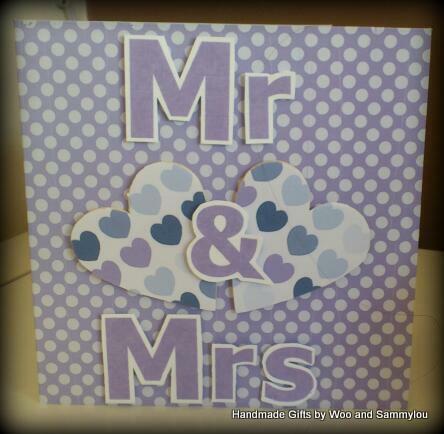 I covered some chipboard hearts I got free from a crafting magazine and backed a 6 x 6 card with the polka dot paper. The alphas were resized in word and printed onto white linen card then stuck down with foam pads. One of the things I realise as I continue along my card making journey is I'm not really one for faff and would much rather let the papers (as opposed to the embellishments) do the talking. Enjoy your weekend and I'll hopefully see you for a post on Sunday. Thanks Lou, I think the purples are lush!